This week we’re featuring a truck that’s often referred to as a piggyback or moffett mounted. Named piggyback for obvious reasons, a Moffett M5 truck is mounted onto the back of a curtain-sided truck, providing businesses with a truck rental that can both transport goods and distribute them once they’ve arrived at their destination. Specifically, piggyback forklift rental includes a Moffett M5, which is designed to handle lift capacities up to 2500kg. This makes it perfect for a range of industrial and commercial projects, as its built-in safety features result in the perfect combination of peace of mind and performance. This means that when you take out piggyback forklift rental with us, you’re making the most of a cost-effective combo, as both the truck and forklift can be operated by the same driver, keeping your drivers open for other jobs. The curtain-sider truck itself can also be specified to your requirements. All of our piggyback forklift rental trucks come with Euro VI engines and are inclusive of maintenance, but with manufacturing facilities on-site, we can also make these trucks bespoke. That means you can make this, or indeed any truck, bespoke to the needs of your business. 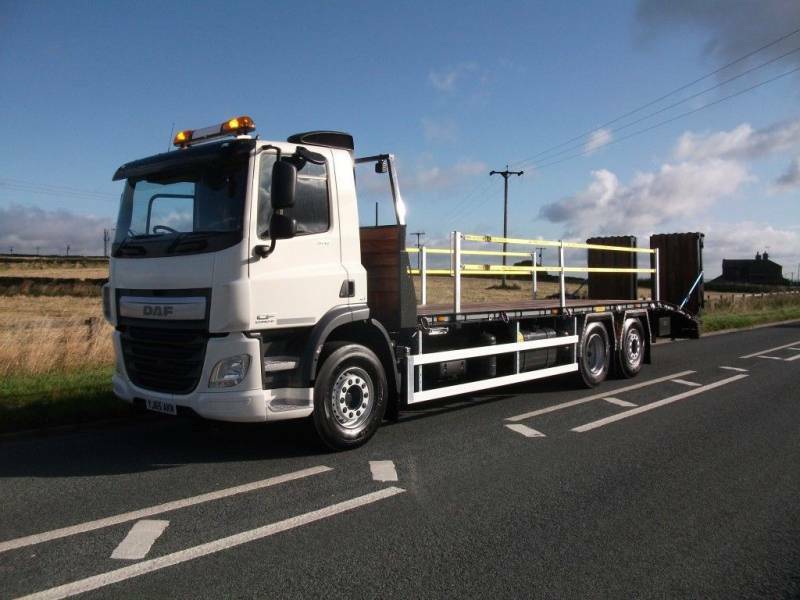 With crane mounted trucks, beavertails, skip trucks and many more available, our team can help you find a great truck with low monthly payments. Low initial capital expenditure. Spreading the cost on a weekly/monthly basis means you can lease a piggyback forklift truck you need without spending the full amount it’s worth. Forklift mounted truck leasing prices are personalised to your company, meaning you can arrange payments and terms depending on what’s best for your business. Companies also get the benefit of knowing their monthly outgoing costs, with no surprises. Maintenance and breakdown are covered. This is a huge benefit when leasing a piggyback forklift truck – if something should happen to your truck and it breaks down, we’ll fix it. Therefore there’s no outlay or long-term downtime as it’s in everyone’s best interest to get your truck fully operational again! Leasing a new moffett mounted truck (or a late used truck) will always give you access to the latest technology and economy standards, particularly important for businesses operating in London / within the Low Emissions Zone (LEZ). Leasing a forklift mounted truck can reduce your tax bill, by offsetting truck leasing prices against your taxable profits. If you’re charged VAT on your truck rental, this is also reclaimable. Long-term truck leasing still provides the same branding options as purchasing a truck, with optional colours and branding across the vehicle. If you would like to know more about our truck sales, visit Mac’s Trucks.